The first-ever attempt to reintroduce the Caucasian leopard, also known as the Persian leopard, into the wild, happened on July 15 when researchers released three young leopards into the mountains of the Russian Caucasus. The plan is that the trio of cats, being tracked with the aid of GPS collars will be the beginning of a revived population in the region. By the middle of the 20th century, leopards had disappeared from the region. The expanding human population proved tragic for the big cats. No regulations limiting the number or methods of killing leopards wiped the cats out. Local people would shoot or even leave out poisoned meat for the cats to eat. By 1949, leopards were on the edge of extinction in the region. The World Wildlife Fund has been working with the Russian state ecological services since 2007 on a project to reintroduce the Caucasian leopard into its natural habitat. Leopards taken from an ordinary zoo can not be released into the wild because they lack the ability to hunt and an instinctive fear of humans. For this reason a special leopard-breeding center was set up in Sochi. 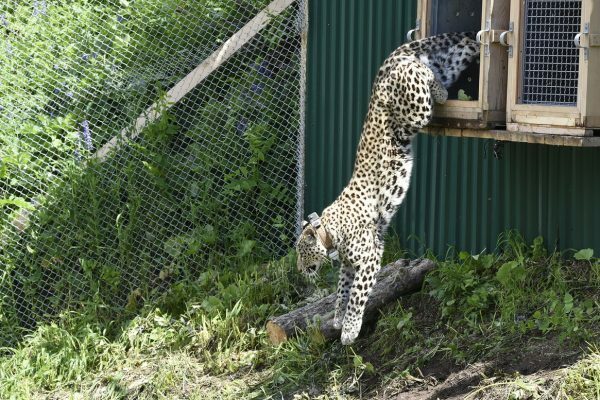 All of the leopards released into the Russian wilderness were bred at the center in Sochi. Before the individual leopard earns their freedom, they must pass a series of tests. Each leopard must catch a roe deer, a stag or a sheep, and demonstrate they understood the danger posed by humans. 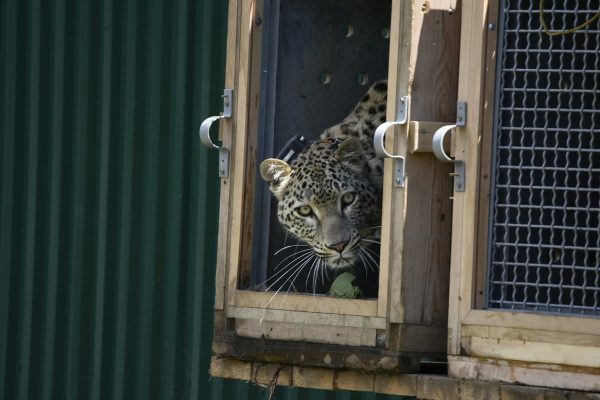 Four leopards, Akhuna, Viktoria, Killi and Sinbad passed the first test, but Sinbad proved too trusting and inquisitive of humans failing the second test. This led to the release of the three leopards, instead of the original plan to release four cats, into the wild. Sinbad will remain at the breeding center for the time being. 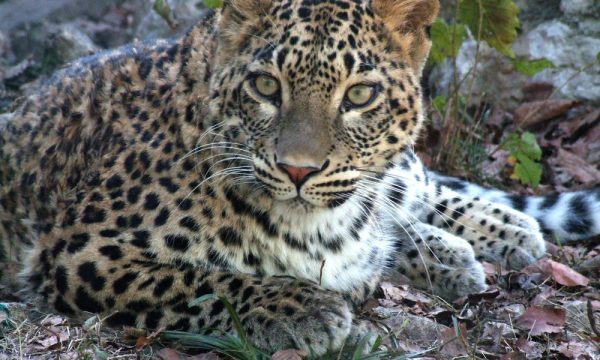 Increasing the chances for the leopards’ survival in the wild, local people have been told how poaching is a criminal offense and how important the leopard is to the Caucasus. Zoologists explained that leopards are not aggressive animals and will only attack humans if provoked. Locals were told not to approach a leopard or their cubs. Over the past ten years, the mountains have experienced an increase in the populations of deer, the prey of choice for the leopards, helping the cats to survive on their own. The goal of the reintroduction plan is to add a minimum of 50 individuals of breeding age into the specified area so that the leopard population will be sustainable. ~~~~~~ waves two ewe R big cats cuzinz…..we wish ewe all de veree veree VEREE best ????????? That video made my heart happy. Thank you for sharing it. Good luck Beautiful leopards, may Bastet watch over you and bless you. these cats are so beautiful. i hope the project works.